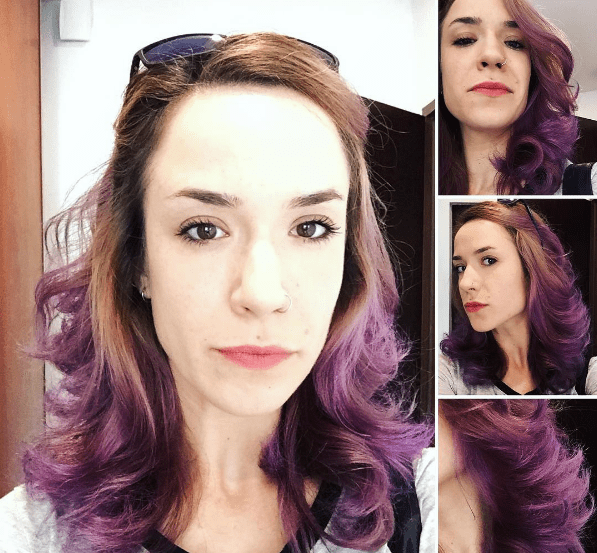 Purple is a well-liked color that can easily be incorporated into one’s hair as an overall base or just simple highlights. 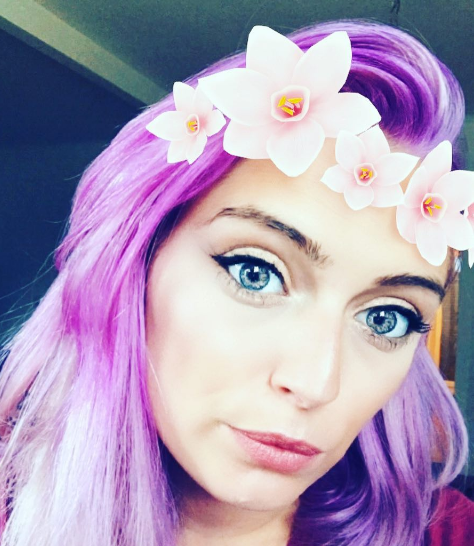 Whichever route you choose to go, take a look at the purple highlight ideas we have and with great hair color starts great inspiration. How chic does this model look? Her entire look is just too cute, and the sun is hitting her shoulder length allium-colored hair perfectly. 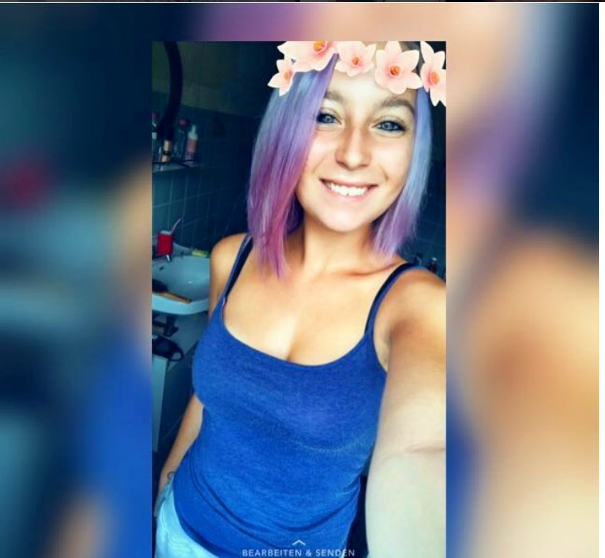 Dye your hair purple and after a few washes you can achieve this color. The model’s roots are a deep purple that slowly fades to a light color that reminds us of the flower Salvia. 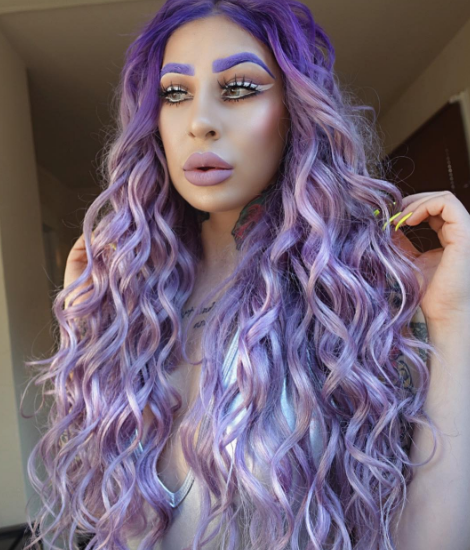 Her eyebrows and lips complete this look as they match her curled hair perfectly. 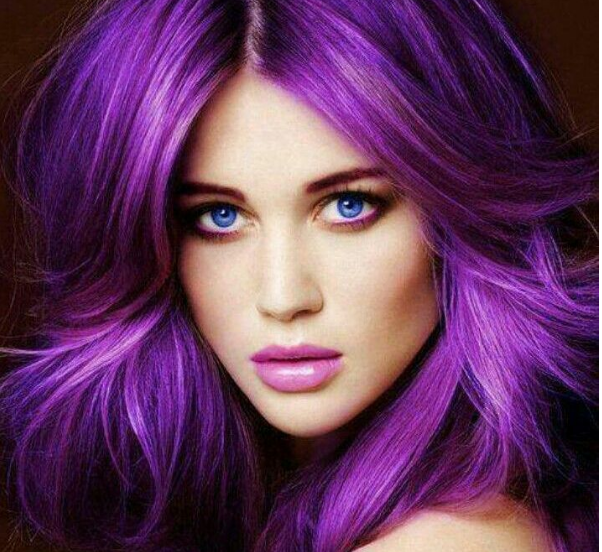 This model had her hair dyed a rich purple with some light touches of blue by the crown of her head. To achieve these simple specs of blue, isolate the strands of hair and lightly paint them. A multitude of pastel colors ties this look together. The model had her hair painted a baby blue to a pastel iris color. 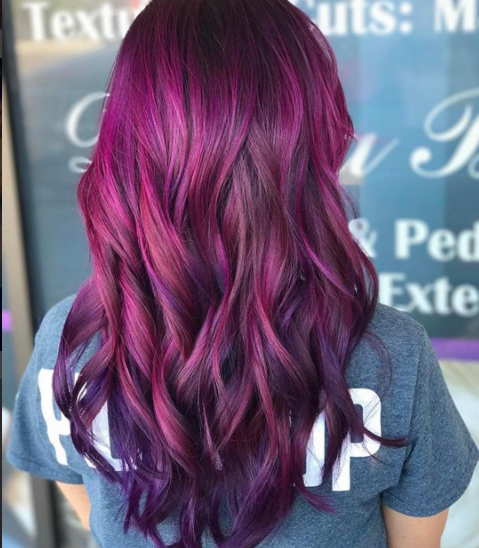 Completely unique, the model had her hair curled after applying an ombre that started off with her natural roots of brown which lightened to a caramel just before reaching the full stage of purple. You can see this look with the several angled photos provided. A bold magenta throughout as the model’s roots remain untouched. 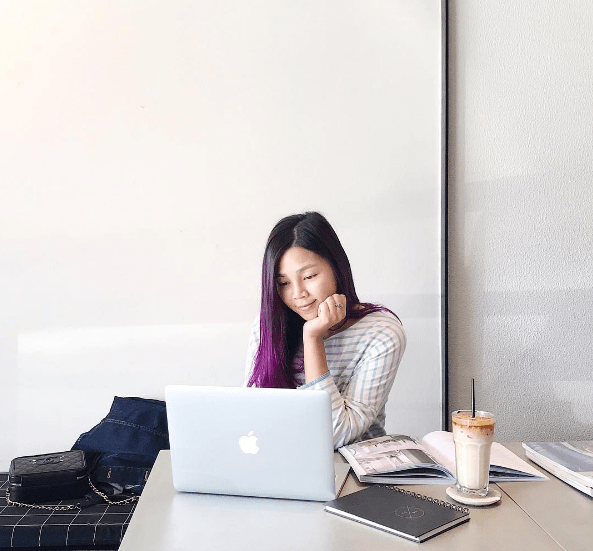 To go from a dark brown, almost black, the hair needs to be lightened, and depending on the color of the lightened hair, will determine how the color holds. An orchid purple mixed with the natural brown color of the model mixed well for the look she was trying to achieve. 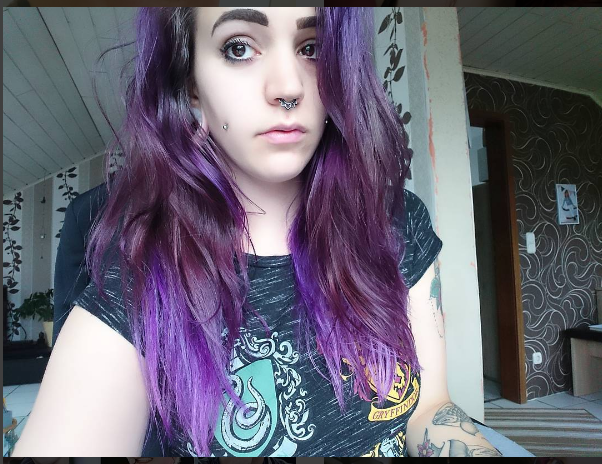 Her hair color, makeup, and piercings make her entire look very cute yet edgy. A transition appropriate for any season, the hair of the model was lightened by a professional. 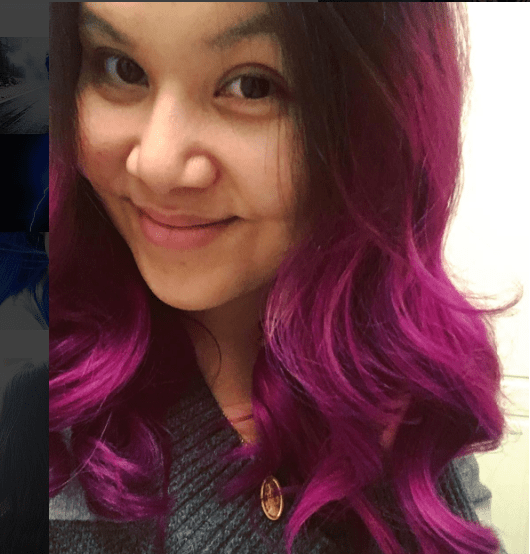 From just a few inches from her roots, her hair was lightened and dyed magenta. 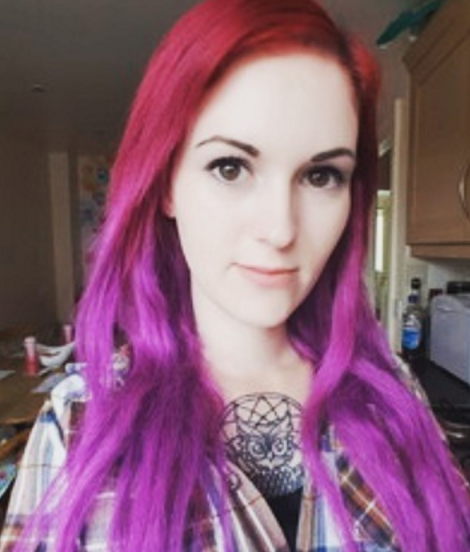 Her hair looks amazing, finished off with a shine. Simple and elegant, this model poses for her photo and her purple highlights are just stunning. 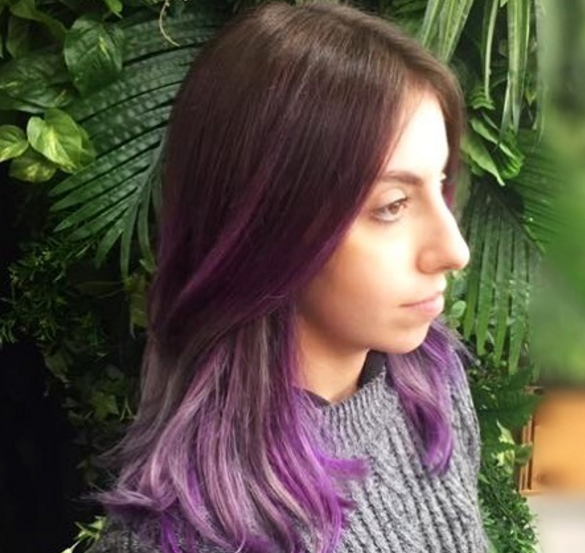 Pure violet, this look was just completed half way down her hair through to the ends as opposed to the entire head of hair. Wow, what a job well done. There is an array of purples, pinks, and what looks like an undertone of blue. Beautifully incorporated throughout, the hair was finished to a flawless spin of curls on what looks like a shiny, head of hair. 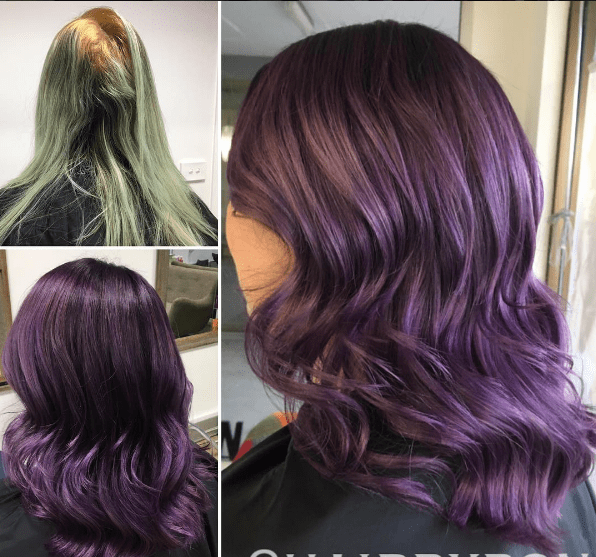 The stylist of this transformation from blonde to purple made it look too easy, but I am sure this project took a lot of time and patience. The purple was evenly painted, covering the blonde, but still letting some color peek through. 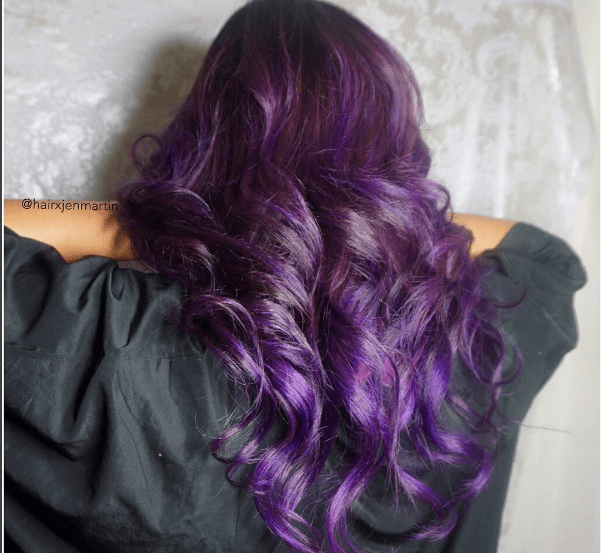 The crown of the model’s hair is her natural brown and as the hair makes its way down, the purple is incorporated as highlights to the ends having purple as the base. Bangs! 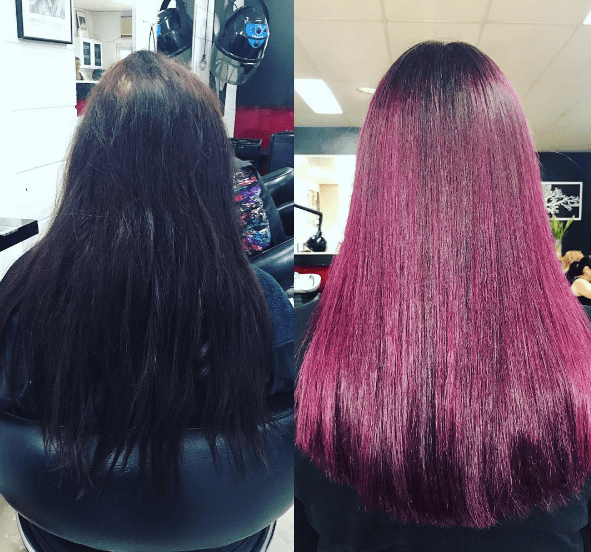 The before picture compared to the after, looks as if the model was in the salon for a routine re-dye. You can tell by the light pink streaks on top of her blonde. From her bangs down to her ends she has a light wash purple, and a bright pink section of hair on both sides, sort of tucked away. This look was executed perfectly and was photographed well. The dark and light base as well as accents of purple tie this look together. If the color purple had a heaven, this would be what it looks like. With what looks like extensions, the long layers were dyed a nice lilac color while the model’s roots are fire red. 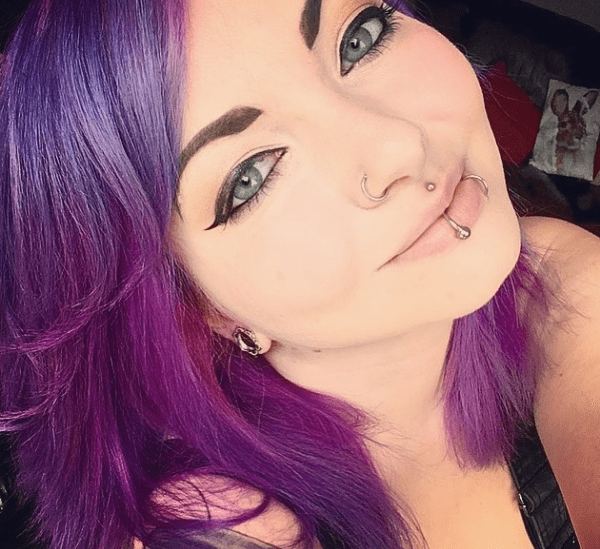 Short and sweet, this blue eyed model has a full head of amethyst-colored hair. The different shades of purple equate to a beautiful array of light and dark colors that blend well together. Curls for days! Each winding curl is a beautiful scheme of eggplant and iris shades. Small peek-a-boo highlights of pink are hidden within. The colors shine beautifully when the sun hits it right. 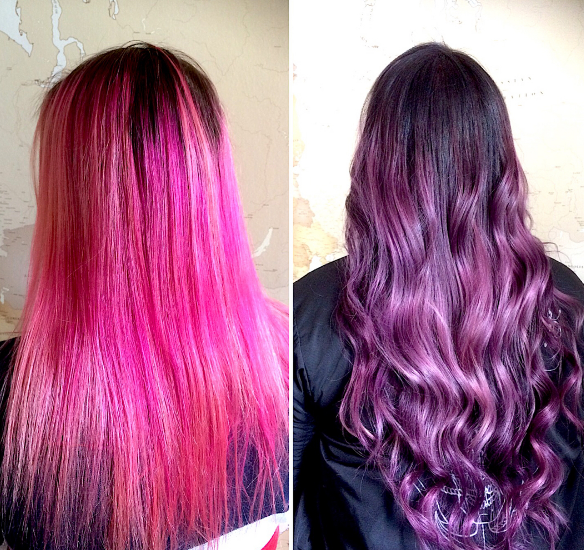 The before picture is a long-haired model with barbie pink hair which soon transitioned to a lengthy purple flow of wave curls. 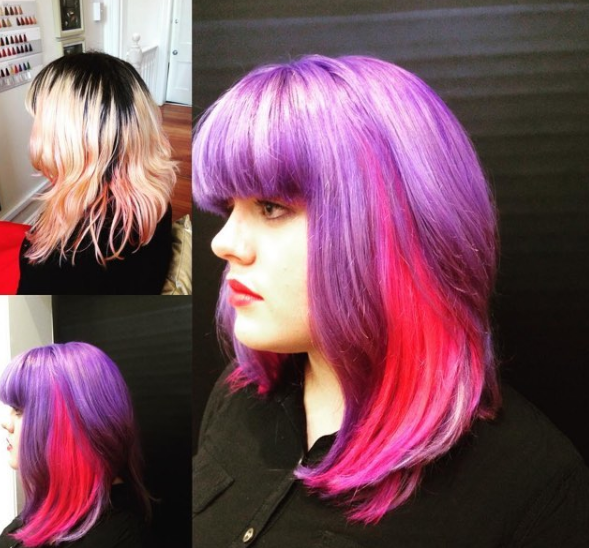 In order to achieve this look you must apply your dye on top of the pink. In the picture on the right you can see the undertone of pink.